1 What is the Microsoft 70-487 Exam? 2 Who should apply for Microsoft 70-487 Exam? 3 What should be the Preparation Strategy? 4 What is the Question Structure of 70-487 Exam? The technology is changing at a blazing fast speed and keeping pace with it; almost all companies are seeking extraordinary and highly-qualified professionals. However, in the vast pool of competitors, it’s imperative to have some specialized skills to present yourself in front of the recruiters in a different way. Professional certifications are a way through which you can expect to get your dream job. Microsoft is offering an array of professional exams to validate the expertise of software developer professionals in the domain of Microsoft technologies. In case you are interested in earning MCSD Certification, then you have to pass some exams. However, each of these exams focuses on different domains in the field of technology. What is the Microsoft 70-487 Exam? Microsoft 70-487 exam is one of the top-notch and reputed exams targeted to the developers, who have a good experience in ASP.NET. The candidates of this exam can also have experience in the domains of web applications, ASP.NET WCF, etc. It is needless to say that this particular exam will act as a catalyst to improve your career and you will get a golden opportunity to show your cloud skills in front of recruiters or your present company. More and more companies are adopting Microsoft Azure, and so its popularity and reputation are also on a hike. 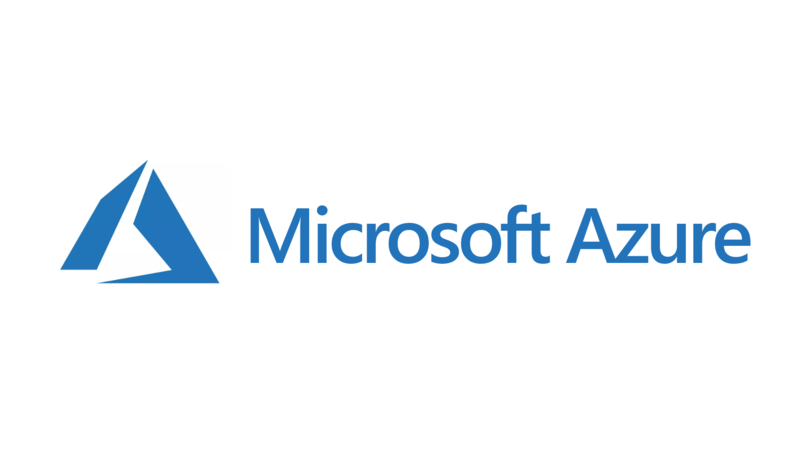 70-487 exam will significantly increase the candidates’ knowledge and skill in Microsoft Azure. Who should apply for Microsoft 70-487 Exam? If you have a firm grip over the ASP.NET Model View Controller through the utilization of .NET Core or Visual Studio 2017 with the experience of 3-5 years (minimum) in the domain of web development, then you should appear for the Microsoft 70-487 exam. This exam has been designed for those software developers, who want to get success in this exam and want to achieve the MCSD certification. If you are looking for some shortcuts to pass the test for Developing Microsoft Azure and Web Services, then you are on the wrong track. It’s not going to be an easy test, and so it is required to do proper planning and its correct execution. You have to be hardworking and cover every segment related to this exam syllabus. In case you don’t have any prior experience on working on any LIVE projects of WCF (Windows Communication Foundation) and Azure, you can watch some video tutorials and original books to grab knowledge and skills for this particular Exam. You need to be also familiar with WCF along with its basic concepts. We all know that different exam requires different preparation strategy. In case you are in the entry zone in the domain of Microsoft Azure, then you have to gain knowledge of the basic Azure course, Azure service, etc. You have to purchase some top-rated books, or you can also enroll in an online course designed for this exam. Candidates can also search for useful video tutorials. This type of learning is quite appropriate for online learners. Whenever you start checking the course of the MCSD Exam, it might seem to be a cumbersome task for you. But think about its benefits, and you will get inspiration to design your preparation strategy. You should have fair knowledge in some particular programming language, service, developer tool, etc. The Developing Microsoft Azure and Web Servicestest has been designed to analyze the knowledge and skills on a range of tools and methods associated with vast technology domains. Candidates consider the Microsoft 70-487 exam benfits and tips and developers will learn many things, and thus the possibility of passing this particular exam will be increased. If you want to check the topic wise priority of this Exam, then you can check on the internet. You can also go through the Microsoft Exam page. If you are not comfortable in online learning, then you can also search for mobile-friendly study or offline study. Many online tutorials also provide the facility of print out and study so it will be an excellent option for offline learners. To get the real-type feeling of actual Exam, it’s essential to take sample Exams. You can also contact those professionals, who have already passed this exam with flying colours. Many online resources are even there to help you out in every phase of your preparation. If you want to earn a good score, then you should be consistent throughout the preparation. What is the Question Structure of 70-487 Exam? If you are going to appear for an exam, then first you have to check its question patterns thoroughly. The questions of the Microsoft 70-487 exam usually consist of MCQs, Multiple Answer Questions, case studies, etc. You have to remember that the case studies are related to requirements as well as projects that will analyze the knowledge and analytical skills to solve the problems. You will also come across questions regarding debugging and the addition of codes in the required places. Around 20% of questions come from WCF, and so you have to grasp both the primary and advanced concepts of WCF. Visual Studio tools are also a significant part of this particular Exam. You can get added advantages in case you know several deployment approaches, such as HTTP, FTP, etc. LINQ querying is another concept associated with the Microsoft 70-487 exam. You can find some brilliant study materials for the Microsoft 70-487 exam online. Different courses have been designed to help in clearing this Exam. Nowadays, cloud services have gained considerable prominence due to its trustworthiness and scalability. More and more organizations are employing cloud as the critical infrastructure and software to design their offerings. Hence, it has become imperative to hire competent professionals in this domain. The Microsoft Certified Solution DeveloperExamwill be helpful for you in the growth and improvement of your IT career. You have to take a strong preparation and hope for the best. Achievement of success in this exam means a sharp lift in your career.